The water sector is undergoing structural shifts that will demand changes to the way in which we operate if we are to meet our water challenges in the future. Water volatility is increasing. Drier places are getting drier and wetter places are getting wetter, challenging the paradigm of stationarity that our water infrastructure is founded on. The costs of producing water — chemicals, power, labor — continue to increase while water utility sales and revenue are declining. Our infrastructure is deteriorating at a significantly more rapid rate than our replacement schedules, threatening our economic viability and public health. Funding for water projects at all levels is increasingly less available. The demographics of our workforce is changing, with much of the institutional knowledge retiring. And our customers are becoming increasingly more connected, demanding more customized information from their service providers. While these issues may seem daunting, the answers are found by expanding the range of solutions to include the benefits of data-driven demand side management projects and not always leading with our historical preference for infrastructure-based supply side projects. In short, using data to understand how, when, and where we are using water and maximizing the efficiency of operations, all contextualized in time and space. These are the fundamental elements of the Smart Grid for Water: deploying an integrated methodology of using data and data systems to better manage our resources — water, infrastructure, people, money — in more efficient ways to meet the challenges of today and the needs of tomorrow. The Smart Grid for Water improves revenue, decreases costs, and results in more efficient water management and happier customers. Employing highly granular data in the day-to-day decisions of the utility finds and exploits efficiencies in our operations. Data can encourage demand reductions without incurring revenue destruction. Data-driven real-time demand data can reduce the stress on our physical infrastructure to extend its useful life and its capacity. Distributed sensors can increase our awareness of the condition of the water in our distribution systems to protect public health. And with data, we can design personalized, efficient customer journeys to meet the growing needs of our customers. In fact, the benefits of adopting a smart water approach for utilities and municipalities extend well beyond water. 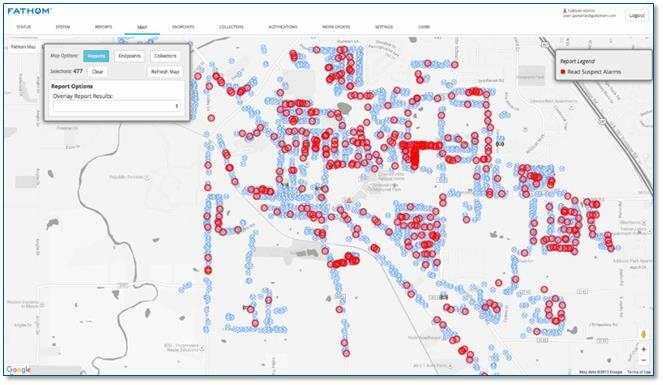 With water utilities touching virtually every citizen, home, and business, cities can exploit the Smart Grid for Water’s distributed communication network, customer base, and immediate value propositions to demonstrate and communicate the overall benefits of the city as an interconnected enterprise. But let’s not get ahead of ourselves. The first step is often the most challenging when embarking on a new pathway. It is our intent over the course of this series of articles to demonstrate the value of the Smart Grid for Water for utilities and customers, while providing an in-depth look at how to take a smart water initiative from concept to reality. The answer may be surprising: the Smart Grid for Water is free. In most utilities, the cost of manually reading meters, billing, remittance management, and managing accounts receivable is $10 to $15 per meter per month. The basics of the Smart Grid for Water can be funded within this existing budget by modernizing these processes to yield significant cost savings. 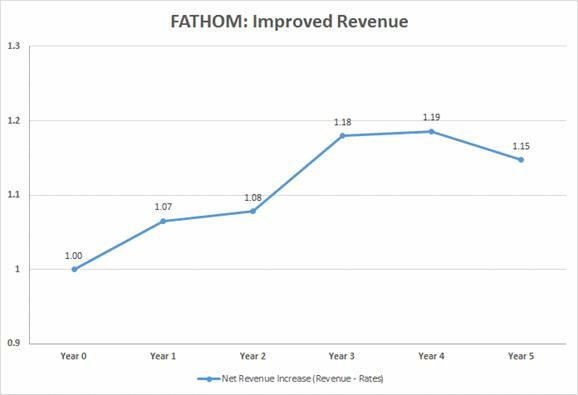 In the case of FATHOM, automating the meter reading and processing services, streamlining billing, remittance management, and accounts receivable through customer channel shift and self service generates enough cost savings to finance the acquisition and installation of advanced metering infrastructure (AMI). Further, there is a significant amount of found revenue that is liberated by fixing data integrity issues in the utility’s data — that is, by correlating the physical and logical assets of the utility. Historically, with disparate data systems and a lack of sufficient safeguards in place, it was not uncommon for the electronic records used for billing and the physical installations on the ground to become decoupled. The result is that some connections never make it into the billing system, which means no revenue from that meter. Each of these has a direct impact on the utility revenue. Starting the Smart Grid for Water with AMI, a meter data management system that is integrated with the customer information and billing systems and Revenue Assurance analytics, we at FATHOM have been able to demonstrate a significant, sustained increase in revenue for our partner utilities — an average of 15 percent. During this Water Online series, we’ll be providing guidance and information on the specific characteristics, benefits and pitfalls (and how to avoid them) associated with the Smart Grid for Water. We’ll review the current and future states of the Smart Grid for Water, the differences between the electric smart grid and the Smart Grid for Water, meter accuracy and anomaly detection, Smart Grid Customer Information Systems, and the power of Technology- and Finance-enabled Services for utilities. Building the business case — a step-by-step model that you build for your city. Case studies that showcase your peers telling their stories. The presentations that grab council's attention — and ones that don't. Qualifying your utility for the full tax-exempt financing for the Smart Grid's full deployment — in one month or less. Managing your customer communications — telling the story to your customers in a way that helps, not hurts, your Smart Grid efforts. The next article in this series will be: Building the Business Case: How to Convince your Council and Colleagues.